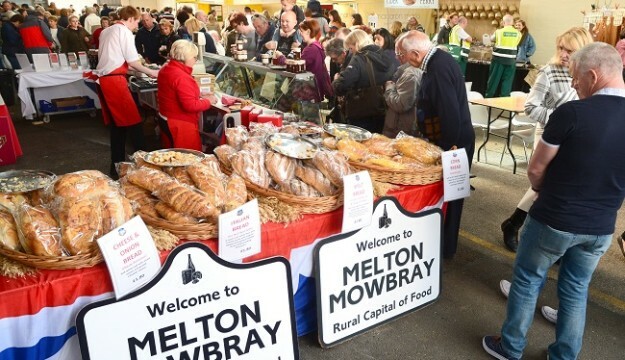 The East Midlands Food Festival was rated as ‘one of the world’s most interesting food festivals this year’ by the New York Times and UK food fans will get a chance to discover why when the event returns to Melton Mowbray in Leicestershire for the 15th year from 6-7 October 2018. Some 200 stands will showcase the best food and drink from the East Midlands and beyond. Celebrity chefs such as TV’s Rachel Green and Jo Pratt will be cooking up live demonstrations in the Food Theatre and the ‘Cooking Maharaja’ will also be offering a flavour of the East. Leicester’s award-winning De Montfort University Gospel Choir and the Melstrum Ukulele Band will be providing the entertainment this year. For kids under 16 (who get in free), there is a Kids Zone with plenty of activities to entertain and educate them about food. A major feature of the Festival is the Street Food Zone with hot dishes from around the world and for those who like spirits there’s the best of gin, rum, vodka and whisky produced within 100 miles of the venue.